Large Chinese telco company provides three use cases for its Communications-as-a-Service initiative and develops FusionStage platform. The PaaS sits in the middle of a large communications infrastructure being developed along several use cases. Already deploys 4,500 applications, and now serves as the platform for a sophisticated communications infrastructure that entails regular telco as well as conferencing and monitoring applications and services. Huawei seeks to deploy 300 to 400 containers per minute. Huawei is a Chinese telecommunications company with a significant presence in the US. Annual revenues run about $46 billion with about 170,000 employees. This question asked by Huawei Chief Architect illustrates the scale of the Chinese telco company’s vision. Huawei has 170,000 employees and $46 billion in annual revenue, and is now designing and deploying a Communications-as-a-Service (CaaS) initiative that’s based on the Cloud Foundry PaaS. The general outlines of the problem the company is addressing relate to competition, specifically non-telco services that are “evolving fast and disrupting the telco ecosystem,” according to Dr. Xiong. 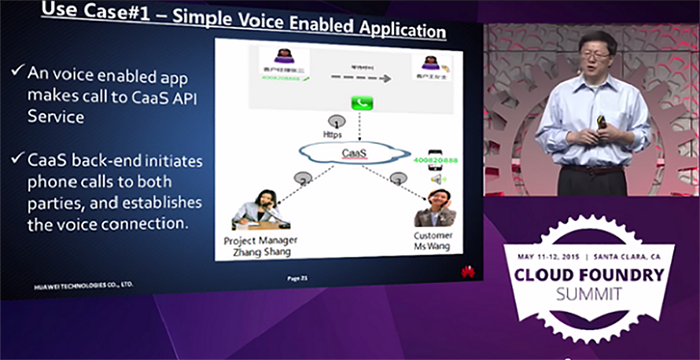 Huawei can deploy more than 4,500 applications with a custom-built PaaS that’s been in development since 2013. 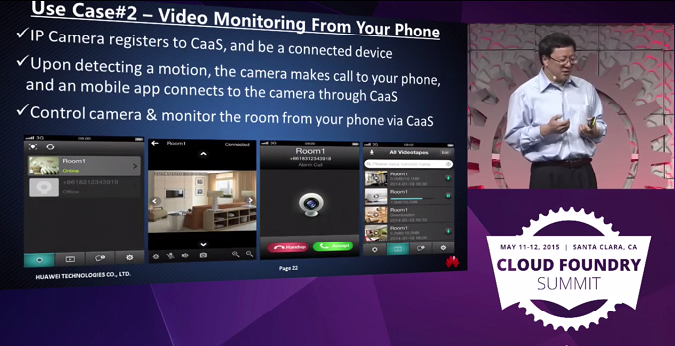 The overall scope of Huawei’s initiative can be illustrated in a few use cases offered by Dr. Xiong. Creating a communications infrastructure for the 21st century is essential for enterprises who are already modernizing their IT infrastructures with IaaS, PaaS, and SaaS. Huawei is addressing many of the underlying complexities with its solution, easing the way for implementation. 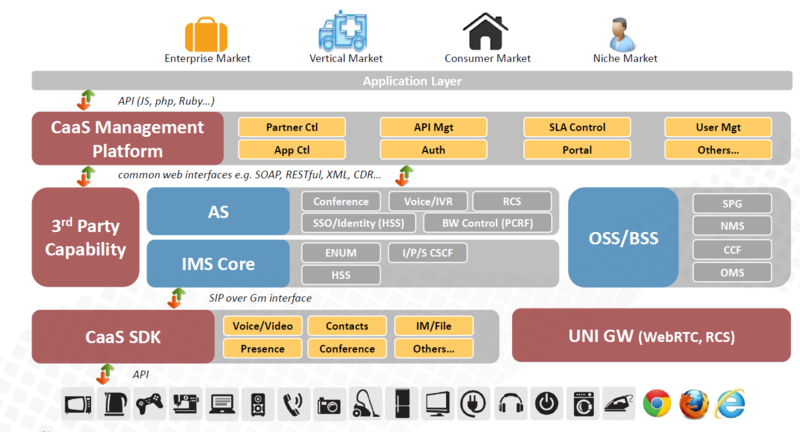 The worlds of telco and IT meet in this CaaS, with a large number of specific programming challenges for implementation. This is a large, overarching concept designed for large enterprises with sophisticated telco and web networking needs. 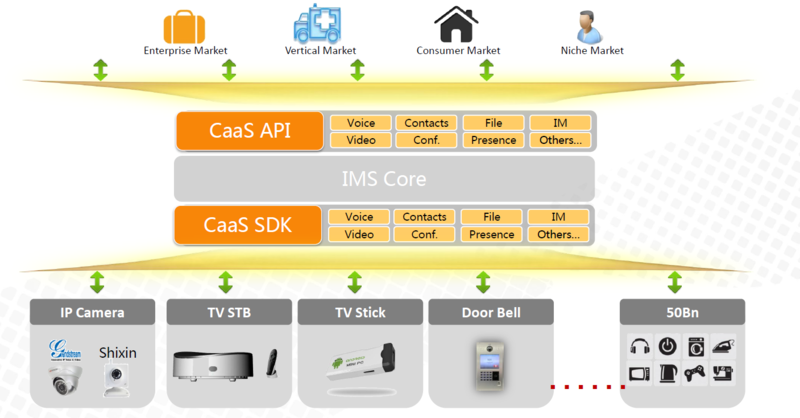 In September 2016, Huawei released CaaS 2.0 that offers five powerful capabilities: real-time voice communication, real-time video, quality of service networking, location information, and third-party application integration. 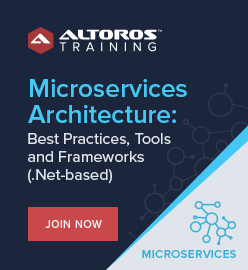 However, as an enterprise’s needs evolve in this area, still there will be day-to-day challenges of scalability, availability, and specific functionality. Another product delivered by Huawei based on Cloud Foundry is the FusionStage PaaS. In 2015, the Cloud Foundry Foundation certified the platform as compliant with industry standards. FusionStage supports the CF CLI, using Diego as its runtime engine and Kubernetes and Docker as tools for container orchestration. The platform can be deployed to both public clouds (e.g., Huawei Enterprise Cloud, AWS, Azure, Google Cloud, etc.) and private data centers (e.g., FusionSphere, OpenStack, VMware, bare metal). Huawei has also introduced a number of enhancements to the PaaS: global deployment of management multi-clusters, container release pipes, and global mirror synchronization. The following video is the original presentation by Dr. Ying Xiong at the Cloud Foundry Summit 2015 in Santa Clara, CA.